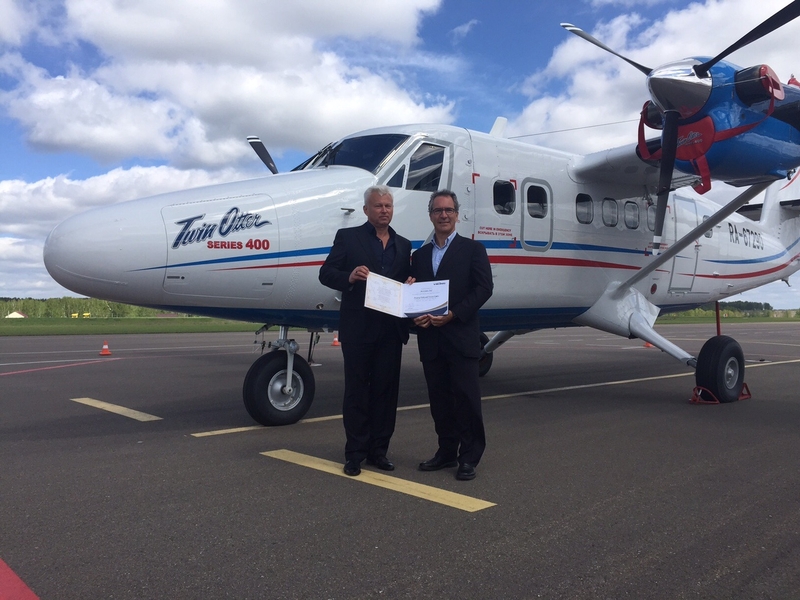 Viking Air has appointed AeroGeo of Krasnoyarsk, Russia as the first Russian-based Factory Endorsed Service Centre (FESC) to join the Twin Otter Series 400 and legacy de Havilland support network. AeroGeo’s central location in Krasnoyarsk, combined with their extensive turbo-prop experience, makes them the ideal choice for a Viking-certified maintenance facility for the Series 400 Twin Otter in Russia. Over the past six months, AeroGeo have demonstrated an increasing level of dependable Twin Otter maintenance capabilities as Viking Twin Otter Series 400 customer aircraft have started arriving in the Krasnoyarsk Krai region of Russia. The FESC program, administered through Viking’s Global Customer Support group, develops strategic partnerships with specialized industry professionals to provide factory recognized service and warranty repairs in-country for both the new Viking Series 400 Twin Otters and legacy de Havilland fleet.